These Guys are true music aficionados! With a combined total of 20 years experience proffesionally rocking crowds all over the U.S. From Boston to L.A, to Denver and San Francisco & back to the M.I.A.! Playing along side names like Audio Jack, Deep Dish, Mastiksoul, Armand Pena, Danny The Wild Child and many more renowned DJ/Producers. 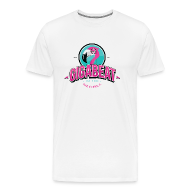 As co-owners of Gigabeat Records in beautiful Miami, Eartight maintains their presence worldwide in the digital dance music scene. Supplying some of the industry’s most sought after tracks and remixes currently topping charts throughout the world.